Discussion in 'The Small Company Luthiers' started by Matt F, Apr 22, 2008. I wanted to share my new Mcnaught G4 Tradition. Body is Alder and top is Flamed Koa with gold hardware/Hipshot trem. Pickups are Wagner SRs. The neck is rock maple with rock maple board. The neck carve is a medium C and fast as hell. I don't think I have ever had a guitar that played quite as fast as this. 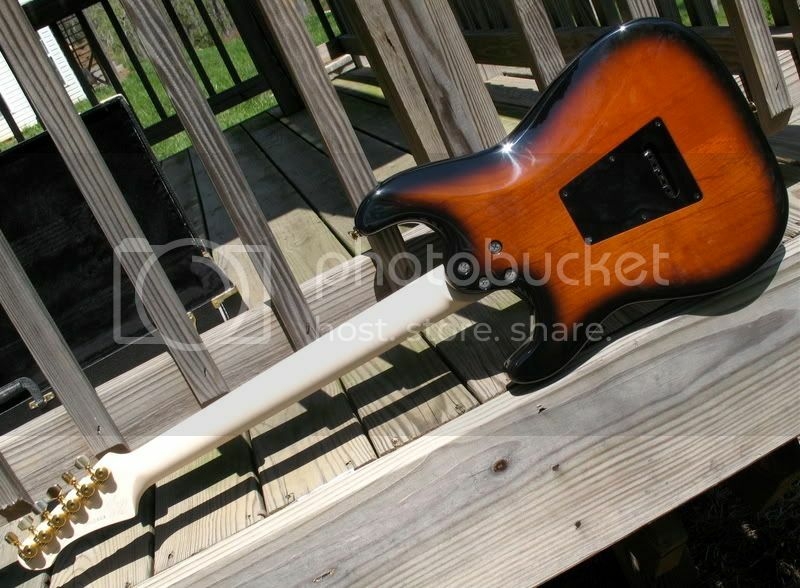 The neck almost feels unfinished with a nice gloss on the headstock overlay only. Definately not a "tradition"al feel. It's pretty wicked. The pickups are great. Extremely Hi-Fi. Maybe too articulate. The guitar sounded a little to bright at first but after adjusting the pickups a little bit the nice strat tone I was looking for was in there . This is also the first guitar I have owned with the Hipshot trem. I like it. Responds nicely and is smooth. 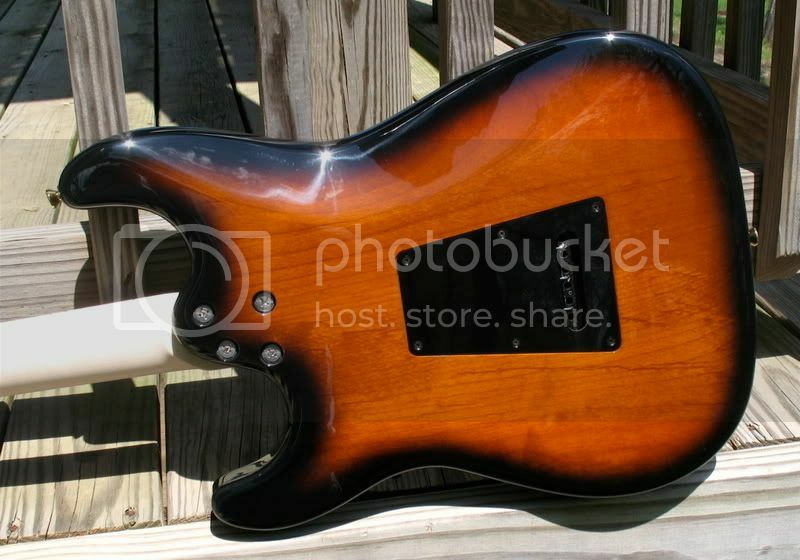 This is a fantastic example of a modern "S" style guitar. So, let the honeymoon begin :RoCkIn. I didn't know that Dave & Dave did an S-style guitar! How about a few more pictures? 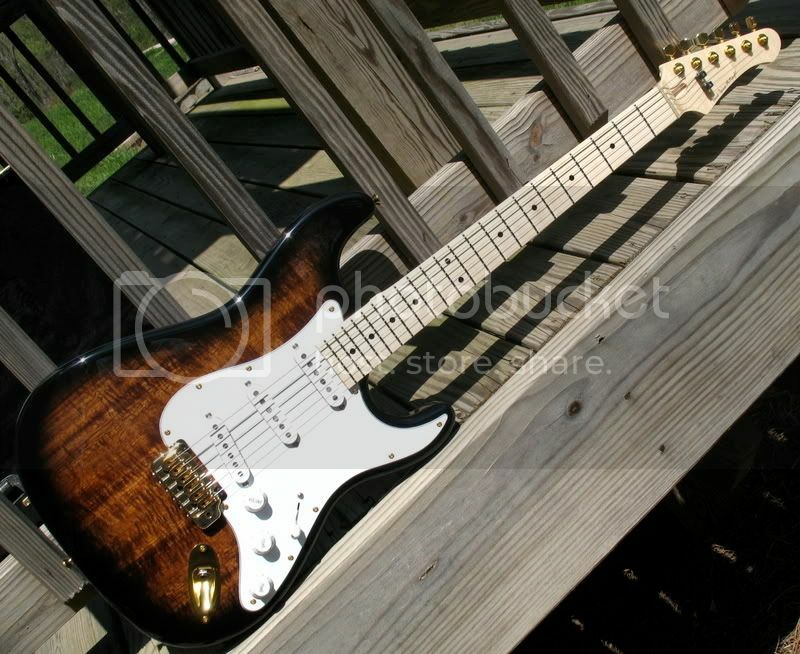 These were the seller's photos It's a great guitar! 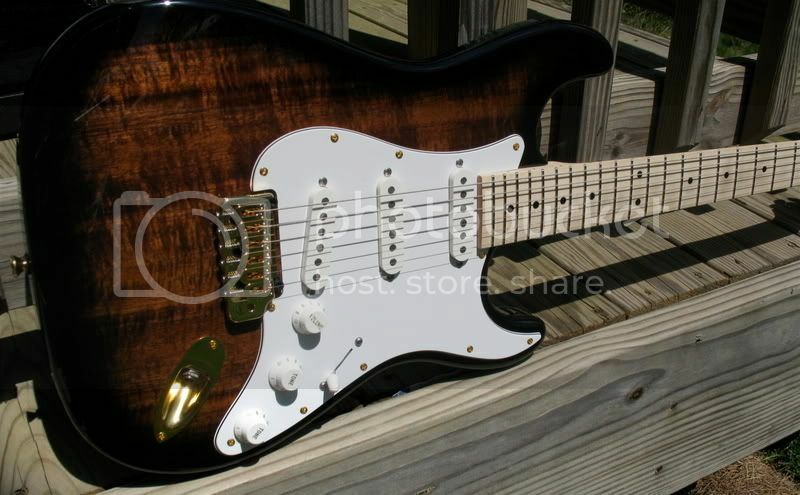 That is a really nice looking strat - kind of understated, but still different. The Daves do good work too. Major congrats on your new guitar. McNaughts are my favorites and yours looks killer! Awesome looking guitar! I have been contemplating picking one up from this series.....this doesnt help!! Beautiful guitar - love the koa with the burst. Sweet guitar Matt. NcNaught builds some of the finest guitars on the planet. Welcome to the fold!! 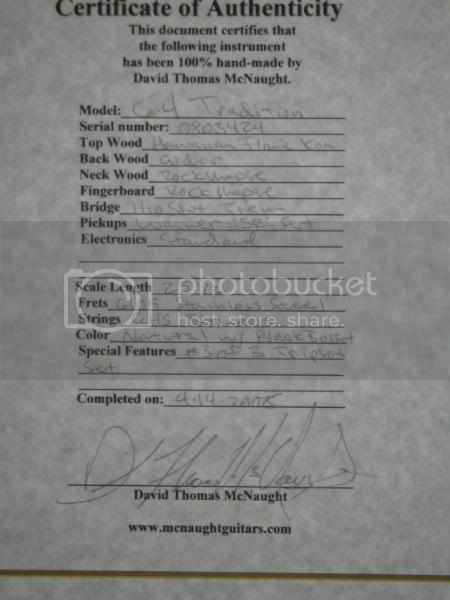 When I was at their shop David showed me how he came up with the neck joint for the tradition line. VERY impressive!! Beautiful burst on that. Congrats! 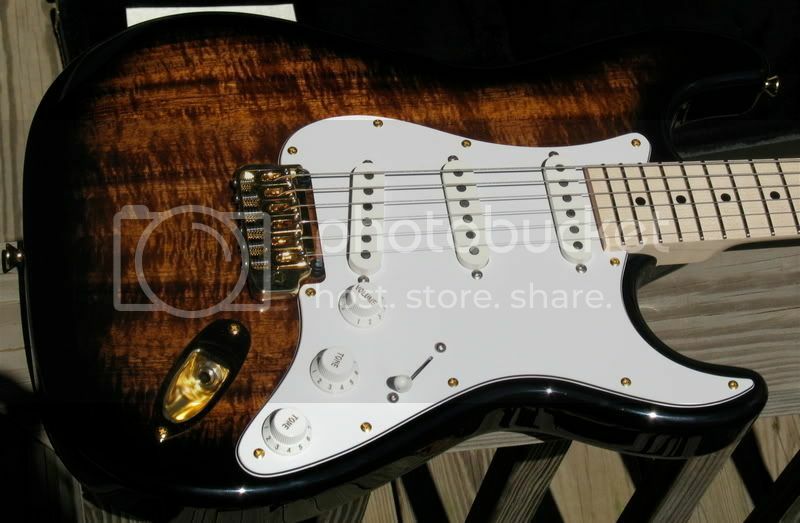 It's OK if you like immaculately built gorgeously finished strat types I guess. 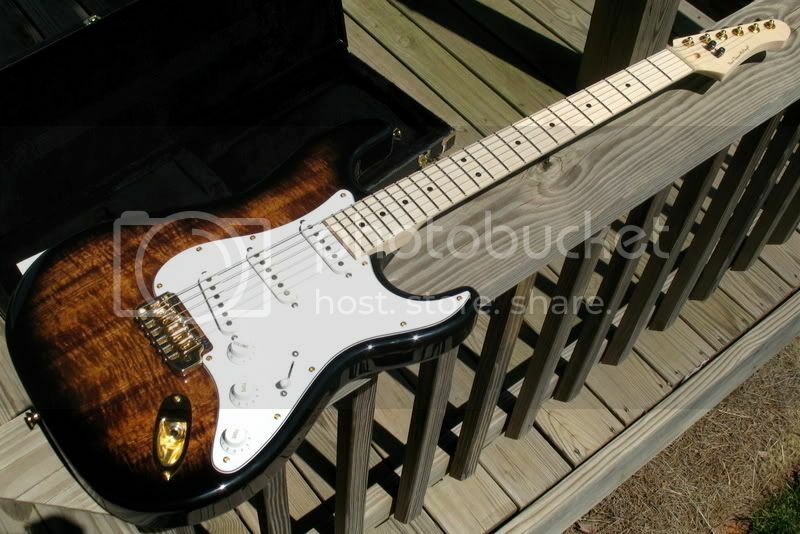 A stunner, and I even like the headstock, an area where so many other strat types leave me limp.